India put in another dominant all round performance as they thumped New Zealand by 90 runs in the second one day international at the Bay Oval on Saturday. Like they had been in Napier, the visitors were too good for the Black Caps in Mount Maunganui, thereby registering their first ever Republic Day (January 26) victory- they had previously never won an ODI played on that date. The visitors went in with an unchanged line up, while the Kiwis included Ish Sodhi and Colin de Grandhomme in place of Michael Santner and Tim Southee. 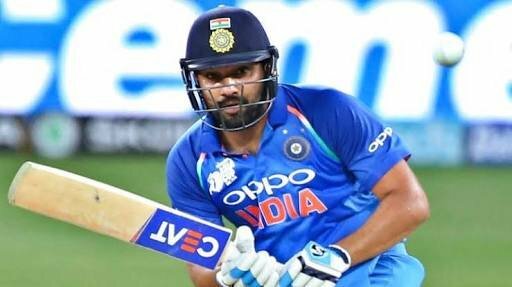 After winning the toss and electing to bat first, the Indian opening pair of Shikhar Dhawan and Rohit Sharma gave their team a rollicking start by adding 154 runs for the opening wicket, before Trent Boult provided the much needed breakthrough by getting Dhawan for a well made 66. In the process, Rohit and Dhawan also notched up their 14th century stand together, surpassing the duo of Sachin Tendulkar and Virender Sehwag, who had 13 to their name. Rohit appeared to be all set to make his first hundred in New Zealand against the Black Caps, but a short ball from Lockie Ferguson proved to be his undoing for 87, with Colin de Grandhomme taking an excellent catch in the deep. Virat Kohli and Ambati Rayudu stitched together a 64 run stand for the third wicket before the Indian captain fell to Boult for 43, leaving the visitors at 236 for 3. Rayudu along with Mahendra Singh Dhoni put on yet another small stand of 35 runs, before the former was dismissed caught and bowled by Ferguson. Kedar Jadhav contributed a quickfire 22 not out off just 10 balls as Dhoni and he added 53 runs in the final 26 balls to power India to 324/4 at the end of 50 overs. The Black Caps bowled superbly in the last 10 to keep the Indian scoring rate under control. The visitors looked good for 340-350 at one stage, but had to settle for 324. Ish Sodhi was the most economical of the Black Caps bowlers, going for just 43 in his ten overs. Chasing a mammoth score of 325 runs, opener Martin Guptill led a charmed life, with Dhoni dropping a catch and Ambati Rayudu missing a relatively straight forward run out opportunity, but failed to capitalise as he edged a Bhuvi delivery to Yuzvendra Chahal at third man for just 15. Black Caps captain Kane Williamson looked solid in his short stay and hit the in-form Mohammed Shami for two sixes and a boundary in the eighth over before chopping one onto his stumps. All the Kiwi batsmen got starts, but no one was able to make an innings of real substance as India’s spinners punctured their chase with regular wickets. Colin Munro made 31 before getting into an awful tangle while trying a switch-hit off Chahal, and was trapped LBW. Ross Taylor was dismissed by an excellent bit of stumping by veteran Dhoni off the part time bowler Kedar Jadhav, leaving the home side at 100/4. Kuldeep Yadav then got into the act with a beautiful delivery that foxed Tom Latham in the 25th over. De Grandhomme didn’t look very comfortable against the left arm spinner, and his attempt to hit out saw the Harare born all rounder dismissed for just 3. Kuldeep also took out Henry Nicholls and Ish Sodhi in consecutive balls in the 31st over to reduce them to 166/8. Doug Bracewell and Lockie Ferguson delayed the inevitable and kept the Indian bowlers at bay by adding 68 runs for the 9th wicket. The duo’s partnership was the ONLY 50+ one for the Black Caps across the two ODI’s- an indicator of New Zealand’s batting struggles against the Indian attack. Bracewell eventually holed out to Dhawan at long on for a well made 57. Chahal completed the formalities by claiming the last wicket, with Vijay Shankar taking an easy catch in the deep to dismiss Ferguson. Kuldeep was India’s most successful bowler as he claimed 4 wickets for 45 runs, while fast bowler Bhuvneshwar Kumar and Chahal bagged two wickets each. Rohit Sharma was declared the Man of the Match for his magnificent 87 run knock. India have now taken a a 2-0 lead in the five match series. The third one day international between these two teams will be played at the same venue two days later (Monday January 28, 2019).